It was by a cold autumn of the year 1450, taken by her curiosity for hipanic breeds of horses, that the French Lady Leana Doucet and her retinue traveled East and crossed the Carpathian mountains on the way to Constantinople. Forced to pause her voyage due to early snowfall, she had to spend the winter (and to freeze to death) at the court of a local Wallachian noble where she met the sociable Domn Reinhart Basarab of house Draculesti. 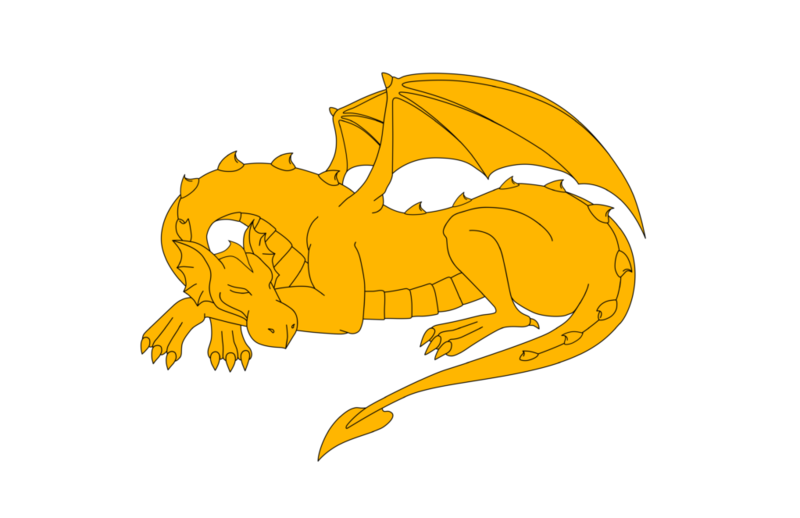 Friendship bloomed into love and together they ventured further East until they found their new home in the Barony of l’Ile du Dragon Dormant. In the four years they have been citizen of the Barony, the sweet and caring Lady Leana and the colourful and charming Lord Reinhart have both already served the Kingdom on many levels, both having being recognized by the Crown for their courtesy and their involvement. 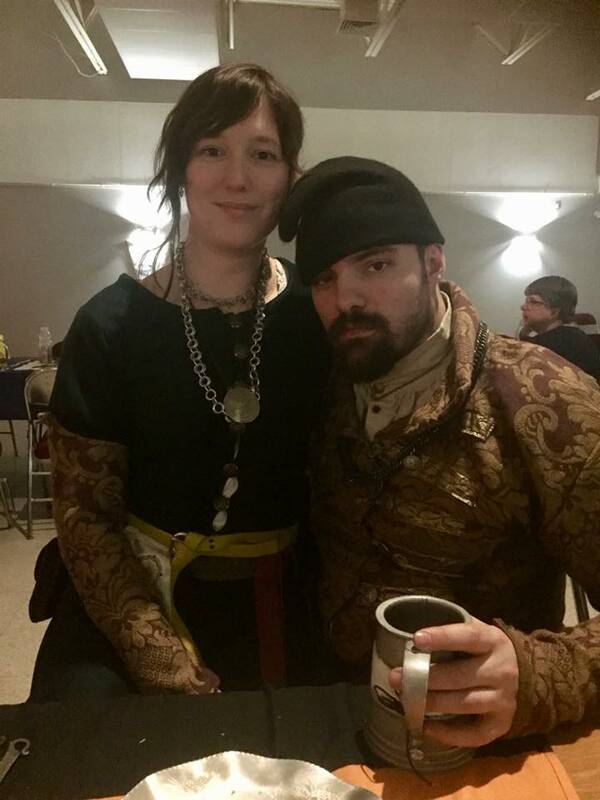 With an obvious love and care for the barony, its people and the SCA as a whole, they have served as officers for the past years and searched for ways to improve the game for everyone around them. The vision they wish to share follows in the steps of their predecessors, one of unity, wishing to bring our great Barony together even more in a sense of fellowship and pride. They wish to support, nurture and encourage all members of the Barony equally in their crafts while also promoting the game aspect by bringing more interactions with the populace and various neighbors, bringing out these “modern middle-ages” to life for everyone.